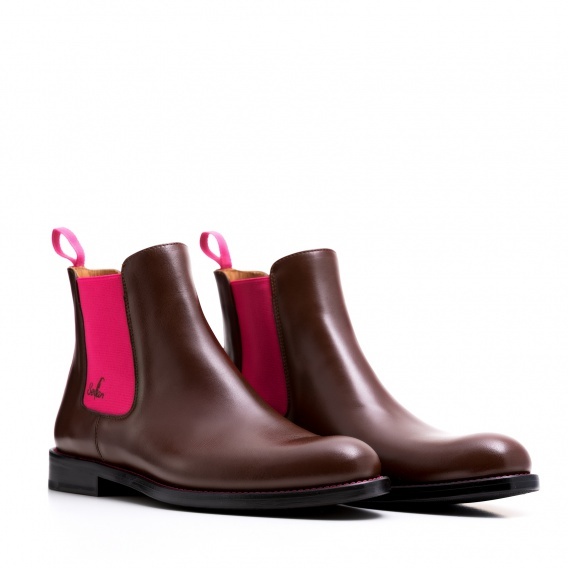 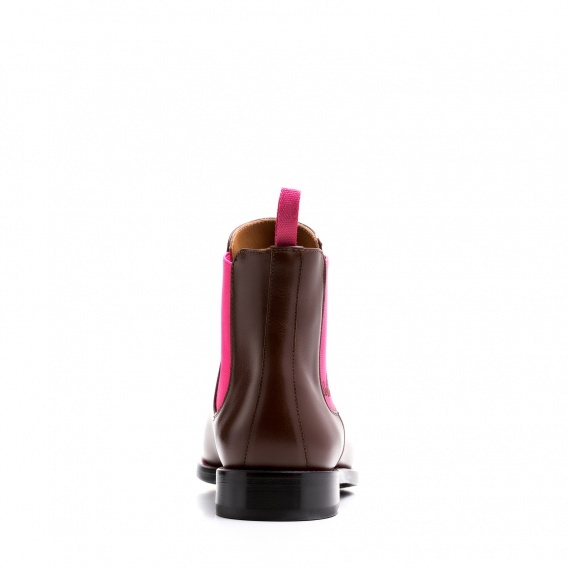 Our Chelsea Boot in brown and pink helps you to have a more self-confident appearance. Wear a black outfit with this extravagant colour combination. 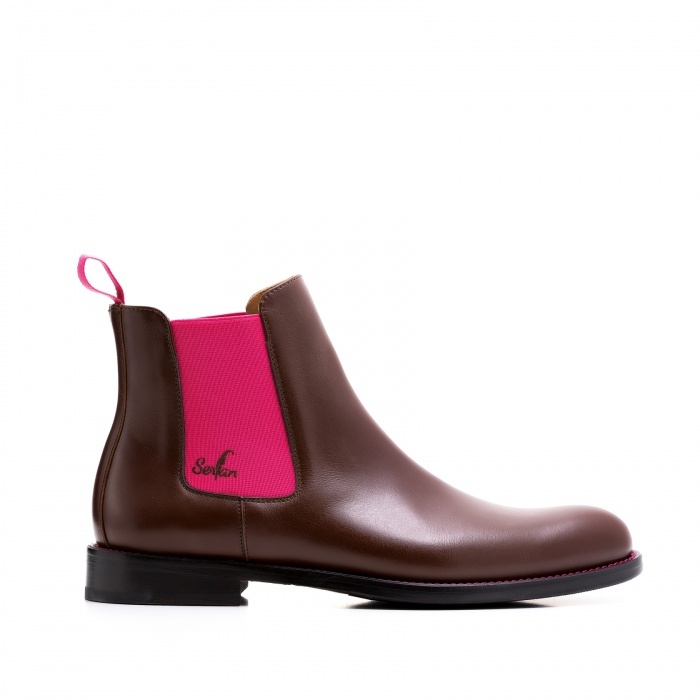 You're ready for your business meeting with slim fit trousers, a peplum top and a classical trench-coat! 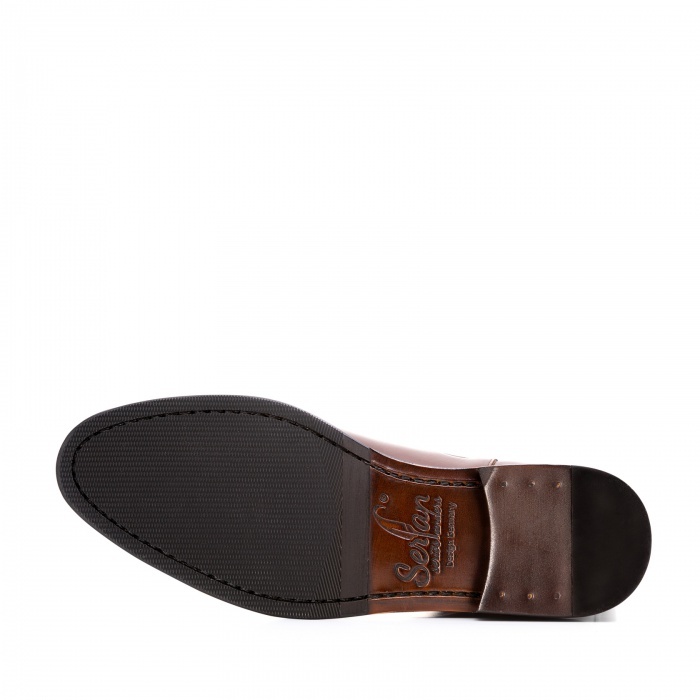 Characteristic for this shoe model are the elastic bands on both sides of the shoe which provide a perfect fit as well as excellent comfort during the day.